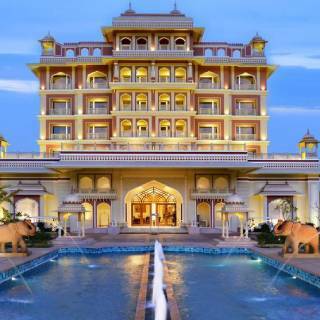 MakeMyTrip Jaipur Hotel Sale: A user can book hotel Jaipur at starting Rs.1350 at MakeMyTrip. There is no need to use any deal code to get this offer. Offer is valid for all users. aipur makes for a perfect tourist destination as it has held on to its rich heritage, culture and architecture which can be seen in its splendid and majestic monuments, brilliant bargain-filled bazaars, and delicious, mouth-watering Rajasthani cuisine. Offer is valid for the limited period so book now.